This summer, comic book heroes, beautiful women, and colorful explosions will invade the Art Institute of Chicago with Roy Lichtenstein: A Retrospective. The blockbuster show is the first to examine the life’s work of the famous Pop artist, bringing together a collection of his famous comic-inspired paintings, in addition to lesser-known but equally striking works from the length of his career – early abstractions, landscapes, sculpture, and much more. In short, it is a show that is impressive as the man himself. Roy Lichtenstein, American (1923-1997). Oh, Jeff…I Love You, Too…But…, 1964. Oil and Magna on canvas. 121.9 x 121.9 cm (48 x 48 in). © Estate of Roy Lichtenstein. Collection Simonyi. 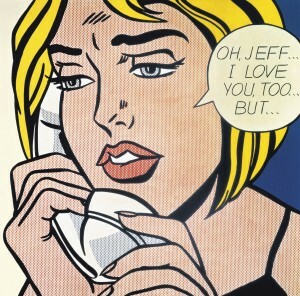 The show traces the development of Lichtenstein’s signature style. We travel from that first spark of pop culture influence in Look, Mickey, a painting inspired from a drawing in a children’s book, to the late nudes, where his comic book women are stripped bare and his familiar system of contour lines and half tone dots begins to collapse. All that comes in between shows a man with an infinite curiosity, constantly reforming what had come before in a new way. Roy Lichtenstein, American (1923-1997). Look Mickey, 1961. Oil on canvas. 121.9 x 175.3 cm (48 x 69 in). © National Gallery of Art. The National Gallery of Art. Dorothy and Roy Lichtenstein, Gift of the artist, in Honor of the 50th Anniversary of the National Gallery. 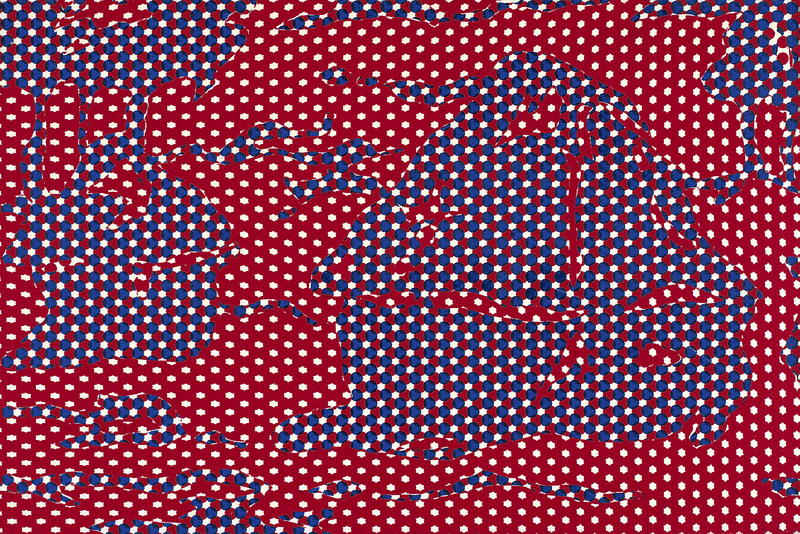 Two galleries best demonstrate this spirit of invention inherent to Lichtenstein’s work. 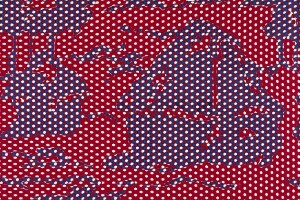 The first is dedicated to parodies/tributes of important works in art history – everyone and everything from Monet’s haystacks to Picasso and Mondrian are given the Lichtenstein treatment. The second, and arguably one of the most intriguing elements of the show, is a gallery devoted to Lichtenstein’s drawings, specifically the studies and preparatory sketches for his paintings. These rare works on paper shed light on the artist’s creative process, proving him to be so much more than the “copyist” his critics were so fond of calling him. Roy Lichtenstein, American (1923-1997). Haystacks, 1969. Oil and Magna on canvas. 40.6 x 61 cm (16 x 24 in). © Estate of Roy Lichtenstein. The Ruben Family. James Rondeau, Frances and Thomas Dittmer Chair and Curator, Department of Contemporary Art, has done an excellent job of highlighting the critical aspects of Lichtenstein’s career and his importance in recent art history without bogging down the work with an overabundance of intellectual language. The show feels similar to one of Lichtenstein’s comic paintings – big, eye-catching, and with just enough information to grasp what’s going on without getting the in the way of the art. 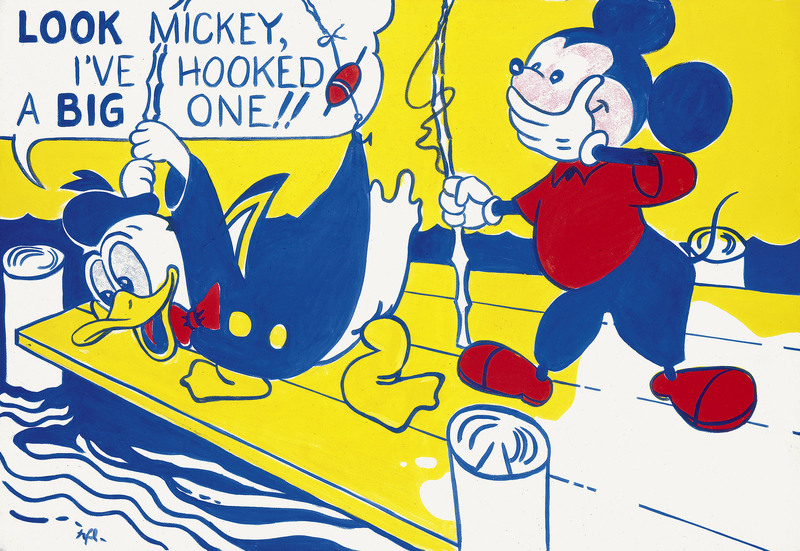 Lichtenstein’s special brand of art puts the fun back into the museum experience. Brace yourself for the crowds and a ridiculously good time. 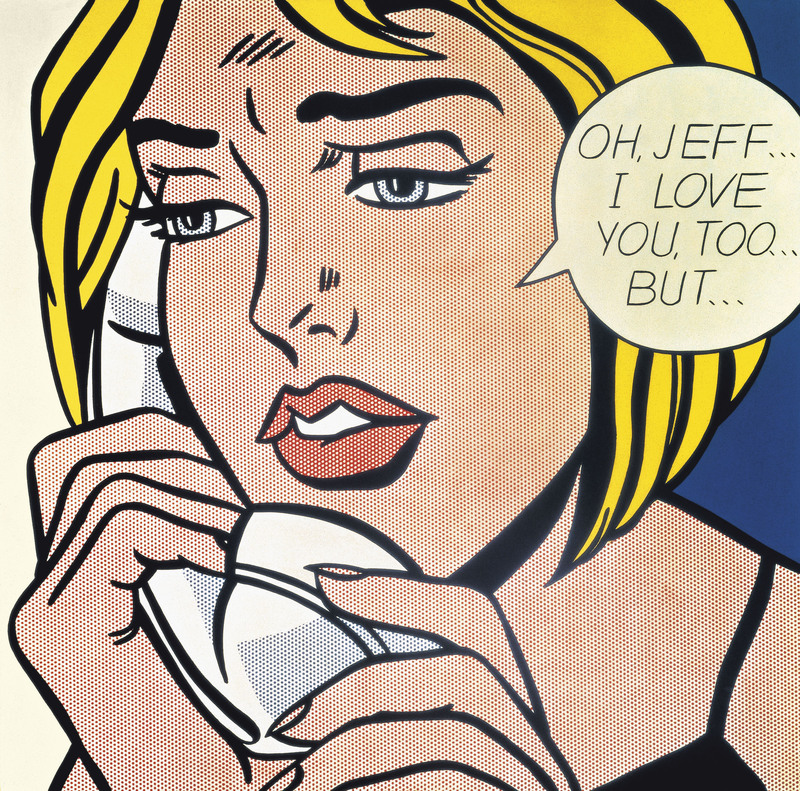 Roy Lichtenstein: A Retrospective will be up through September 3. For museum hours and ticketing information, click here. For a complete listing of events relating to the exhibit, including free gallery tours and special viewings, click here.